This is definitely the most obvious reason. When I originally tried a three day split for the first time, it was after I had competed in a string of IFBB Bikini Competitions and I was quite frankly just sick of the gym. I still wanted to make improvements to my physique and continue working towards my goals, but I was so tired of the routine of going to the gym. When your motivation starts to fade, you need to recognize it and make adjustments, unless you’re preparing for a contest that’s coming up. Then you need to listen to your body and mind. If you’re normally on-fire for the gym, it used to be the highlight of your day, and now it’s just another box to check, you probably need to take a break or at least back down on your training frequency. When I switched to the three-day split, I felt like someone added an extra two days to my week. I had more time for fun, relaxing, spending time with people I care about, and even just taking care of those little odds and ends you tend to skip when you’re tired from training every day. My husband was my first trainer and he’s a competitive bodybuilder. So naturally, we would go to the gym together and he would also write my workout plans divided up by body parts. Now it was tailored toward my goals but it was still body part routine. On the three days per week training plan, I started training my entire body every workout. This was VERY STRANGE at first. 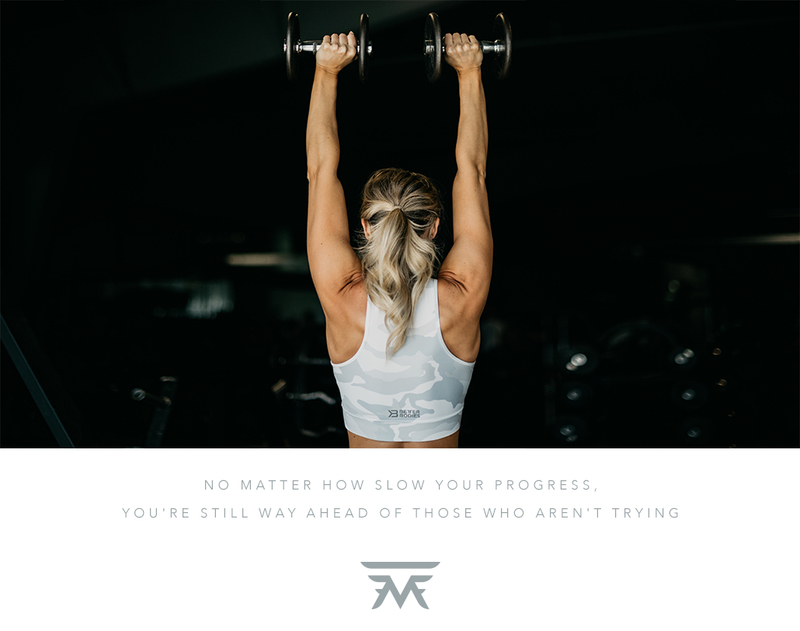 Each workout I felt like I wasn’t doing enough for each body part and I constantly needed to be reminded that it was okay because I would be hitting that same body part again in two days and again two days after that! After a while, I started to really enjoy training my whole body at once. A total body workout leaves you feeling great; tired, but great in a way that is different from finishing up just a shoulder day or just a leg day. The biggest upside from training three days per week in a total body routine, which eventually caused the biggest changes to my physique, were the strength gains I made. A good three-day routine has a lot of compound movements in it and should be geared towards gaining strength. I became very strong in this routine and my physique felt and looked more athletic. The real gains came, though, once I took the strength I added during my three days per week phase and added some more training volume to it. A stronger muscle doesn’t necessarily mean it’s a bigger muscle, but a stronger muscle does have more POTENTIAL to be a bigger muscle. For those of you interested in trying a three day per week routine, you should try my 16-week bikini body training program! The first four weeks consist of a three day per week training routine, plus one day of HIIT cardio to get your metabolism jacked for the next three months. Following the three days per week phase, the volume jumps up to four days per week for eight weeks, and then there are a final four weeks with an added fifth day of glute volume. This is much like the program I followed when preparing for the bikini Olympia; adding volume as the show got closer. Whether you’re getting ready for a contest, or a wedding, or a beach trip, I know you’ll love the results!